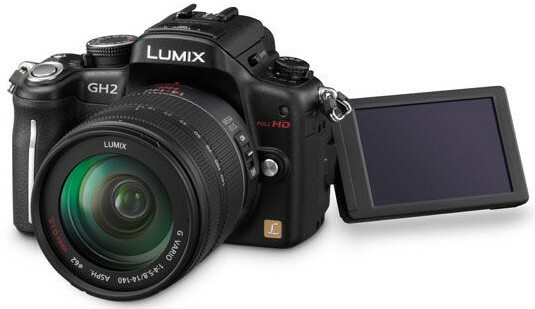 In case you’re still wondering if Panasonic’s mirrorless Lumix GH2 is worth your $900, we’ve rounded up a handful of gadget reviews to provide a pointer for your next big purchase. While most reviewers agree that this Micro Four Thirds camera appears to be very similar to its predecessor, they universally praise the subtly improved ergonomics, speedy liveview autofocusing, and refined image quality, especially with its 1080p AVCHD video recording (although Digital Camera Resource Page did notice some artifacting in its clips). Noise is also a non-issue up to about ISO 800 or 1600, though it’s apparent that the 16 megapixel stills are comparatively dull and, like those from many other MFTs, aren’t quite on par with DSLRs — expect plenty of manual processing work here, as demoed by the good folks over at Digital Photography Review. All in all, the GH2 electronic gadgets are a great kit for high quality video capturing, bundled with a pretty good still performance that requires some extra TLC afterwards — kinda ironic in a way, but hey, this isn’t a problem for lovers of video bokeh.